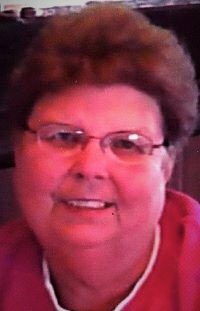 Deborah E. Onions, Age 72 of Treasure Lake, DuBois, PA, died Friday, April 12, 2019 at Penn Highlands DuBois Hospital. Born on March 12, 1947 in New Oxford, PA she was the daughter of the late Richard & Thelma (Lightner) Holtry. On February 3, 2005 she married David Onions. He survives. She retired from Lincoln Intermediate Unit #12 in Adams County after over 25 years of secretarial service. Deborah was a loving person who enjoyed taking care of her family, neighbors and friends. She is survived by two sons; (Richard A. Pope & his wife Cathy of Dover Township, PA and Dwayne E. Pope of Dillsburg, PA), four grandchildren; (Tiffany, Jennifer, Andrew & Emily), five great grandchildren; (Aiden, Damien, Hunter, Isabella & Bently) and one sister (Drucinda Miller of Thompsonville, PA). A private funeral service will be held at the convenience of the family. Arrangements are being handled by the Baronick Funeral Home & Crematorium, Inc.
Memorials may be made to the Gateway Area Humane Society, 1211 Airport Road, Falls Creek, PA 15840.